Our pretty patterned tin container sets the vintage style of this lovely centrepiece. 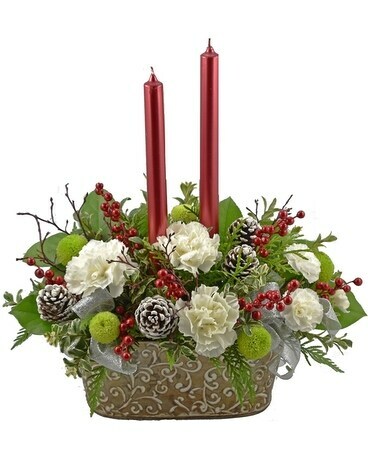 Red taper candles top a bed of evergreens with green kermit mums, white carnations and miniature carnations. Sprinkled through are red berries, snow tipped pine cones silver ribbons and alpine huck branches.